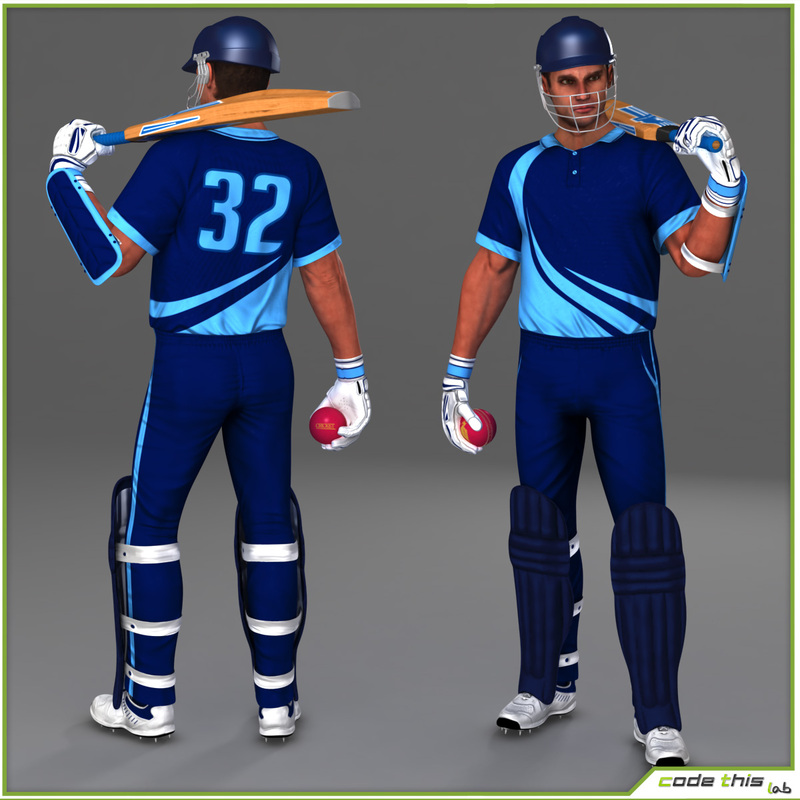 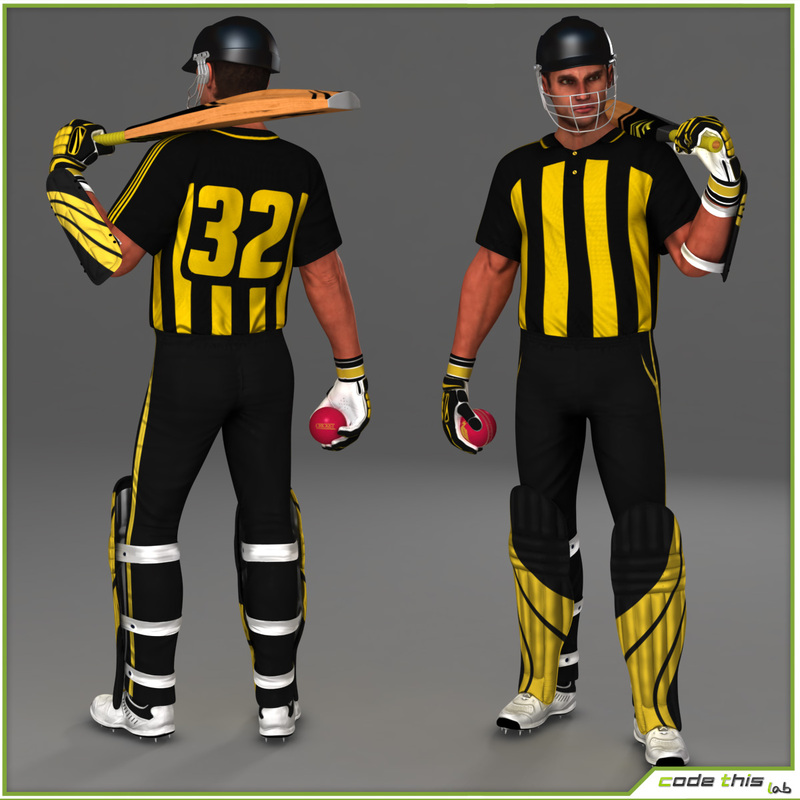 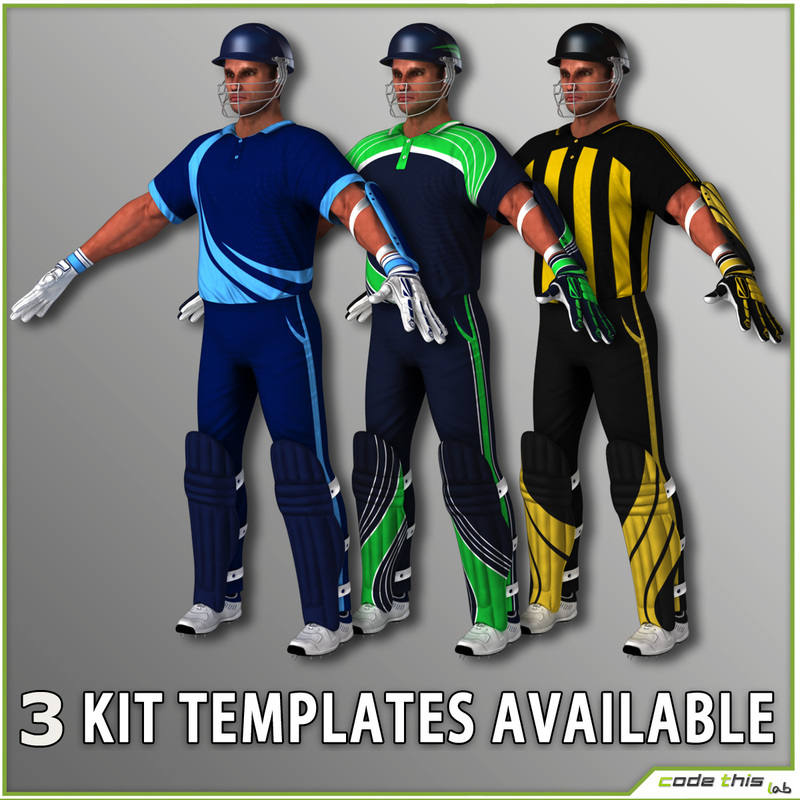 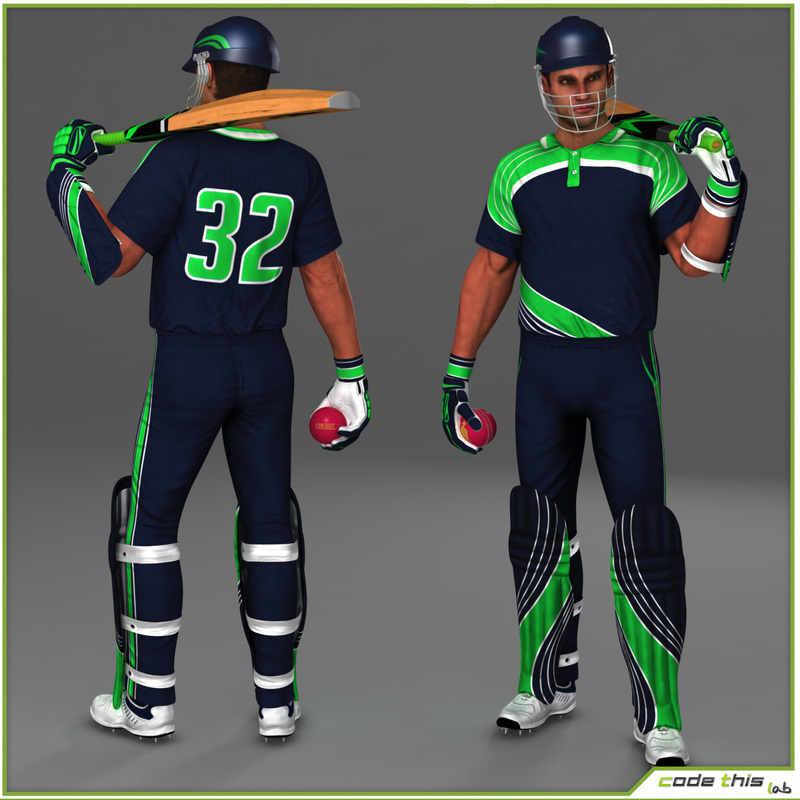 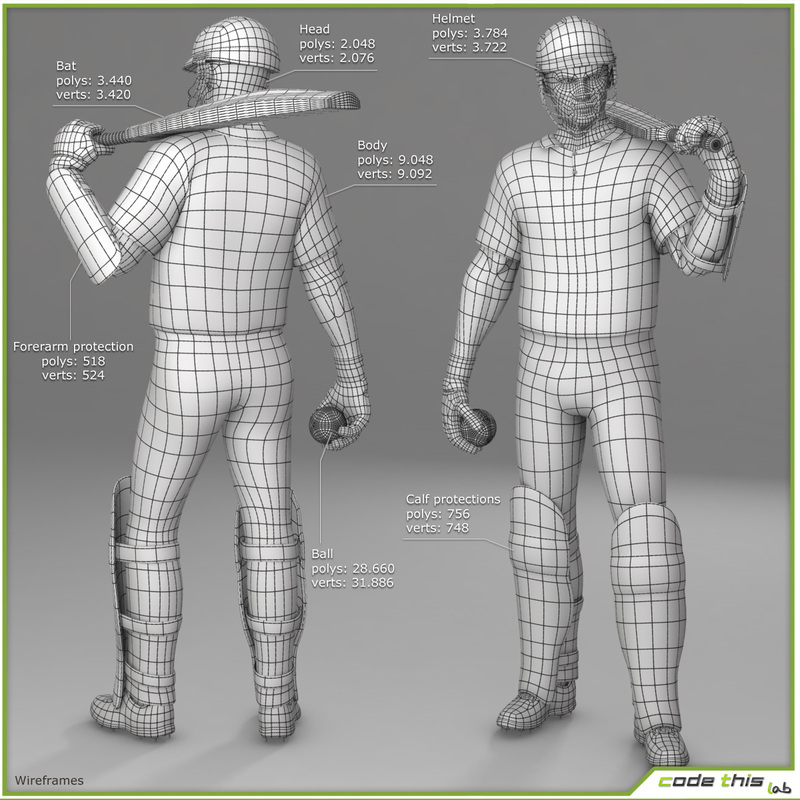 Helmet, calf protections and forearm protection are a single rigged mesh. 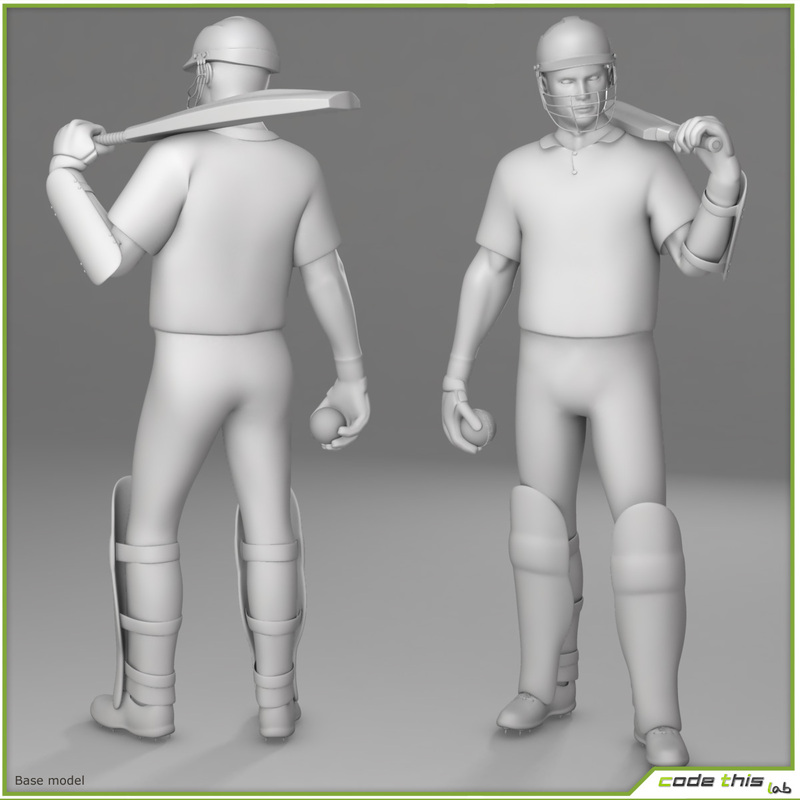 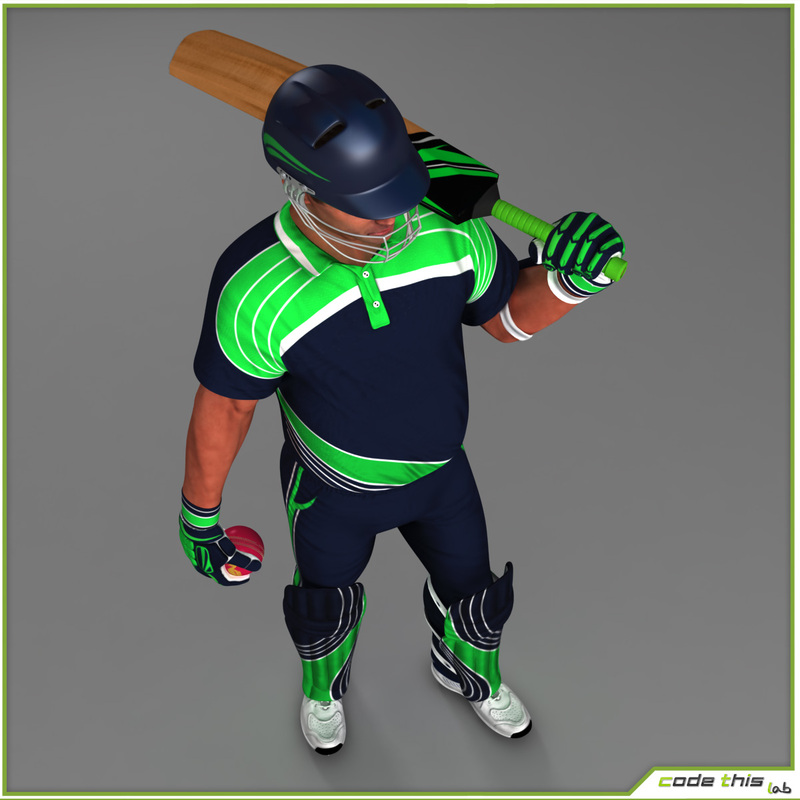 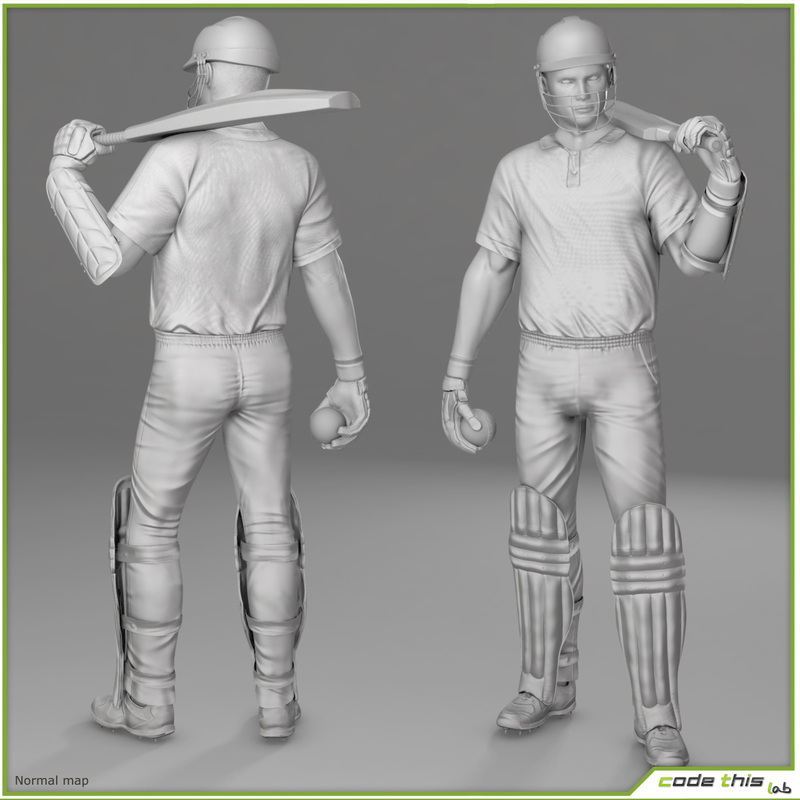 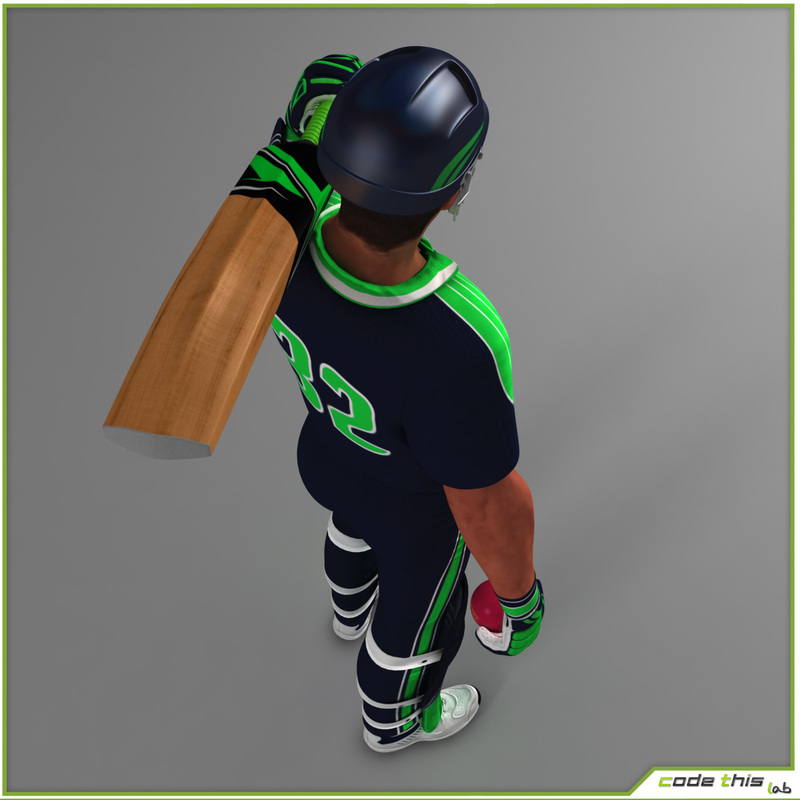 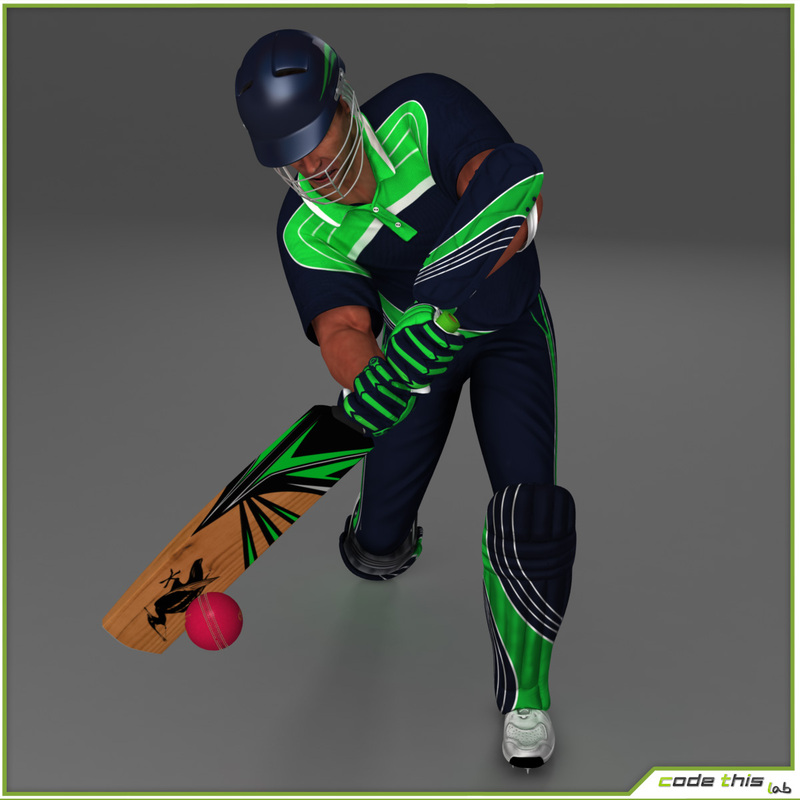 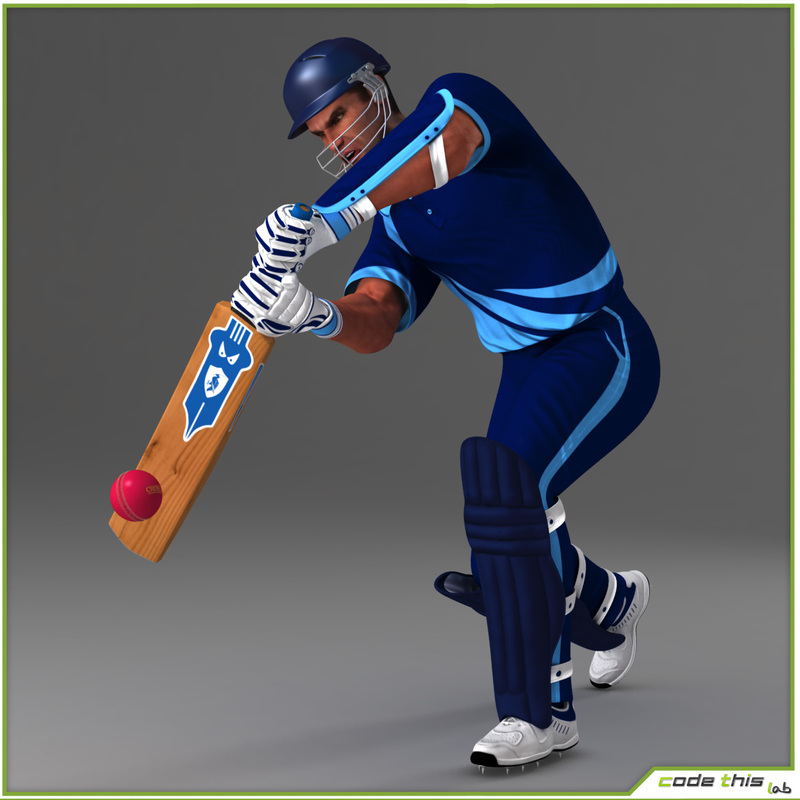 The file .obj contains only the geometry (T-pose, heads with static facial expression, cricket bat and ball). 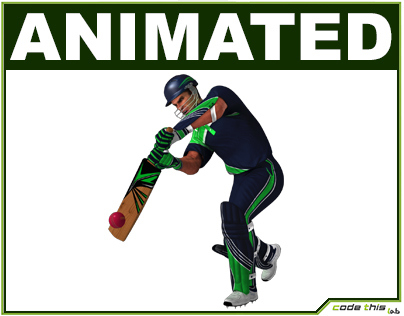 So any facial morphing, rigging and animations must be created from the scratch by the customers.